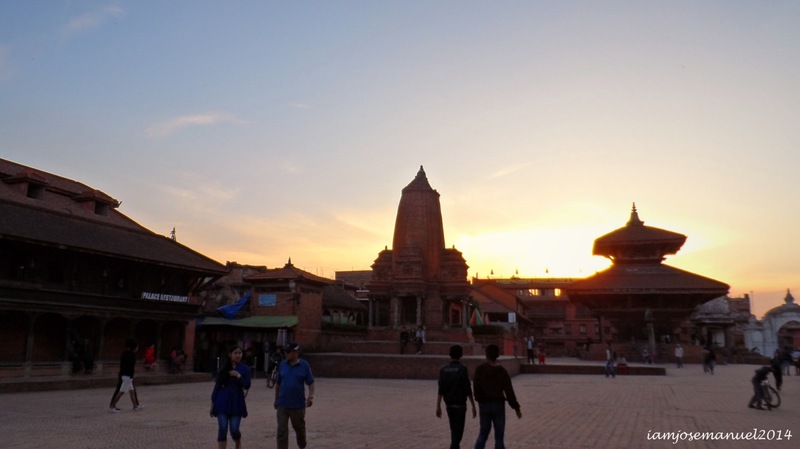 Bhaktapur landscape . 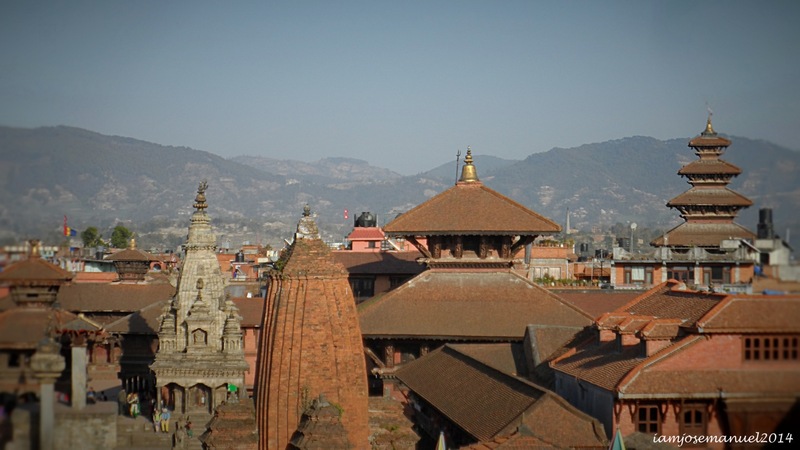 They use a lot of moulded clay and bricks as seen on almost every structure, since they are a landlocked mountainous country. 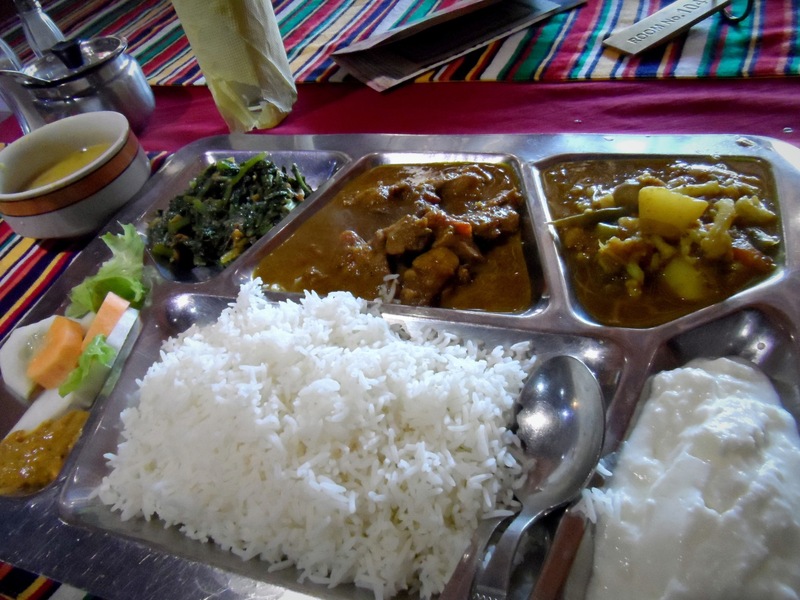 Ny first Meat Thali Meal in Nepal. 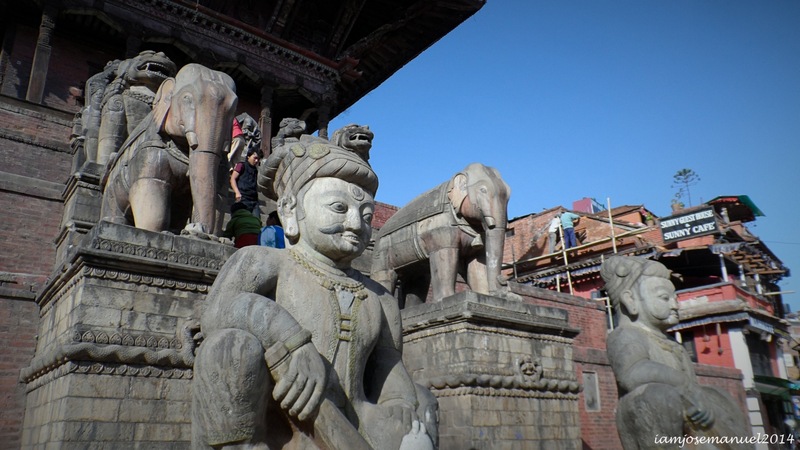 Nepali food is a fusion of Indian curried meat and Chinese Stir fried stuff. as such, this set. 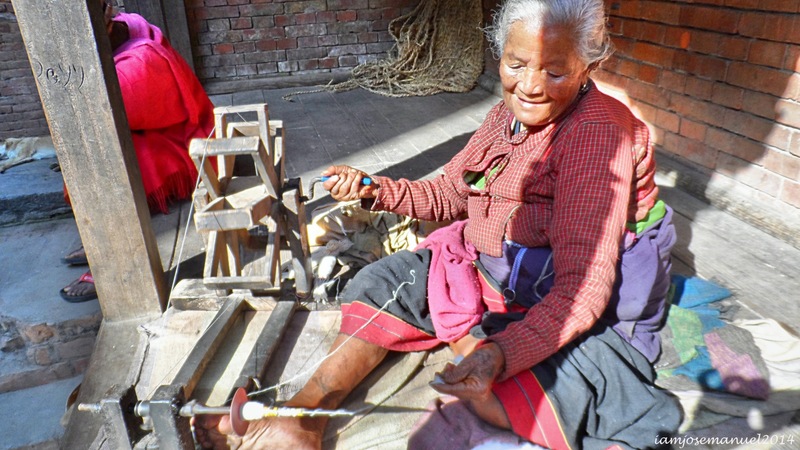 Old Lady Spinning Cotton to Yarn, the old fashion way. 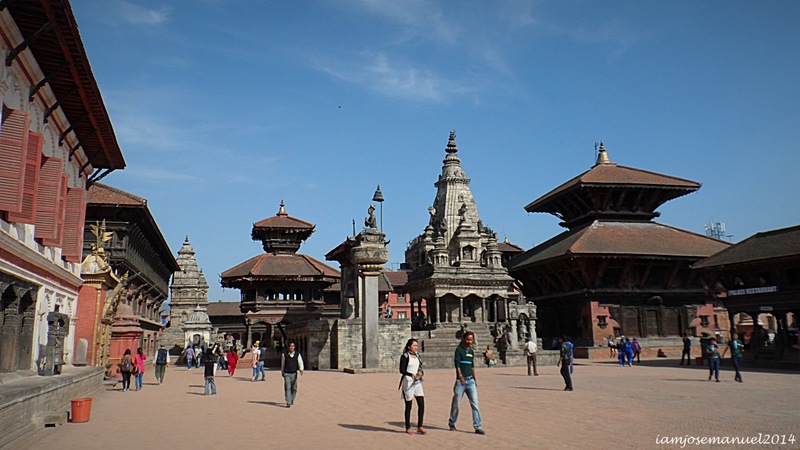 Nyatapola Temple in Bhaktapur. 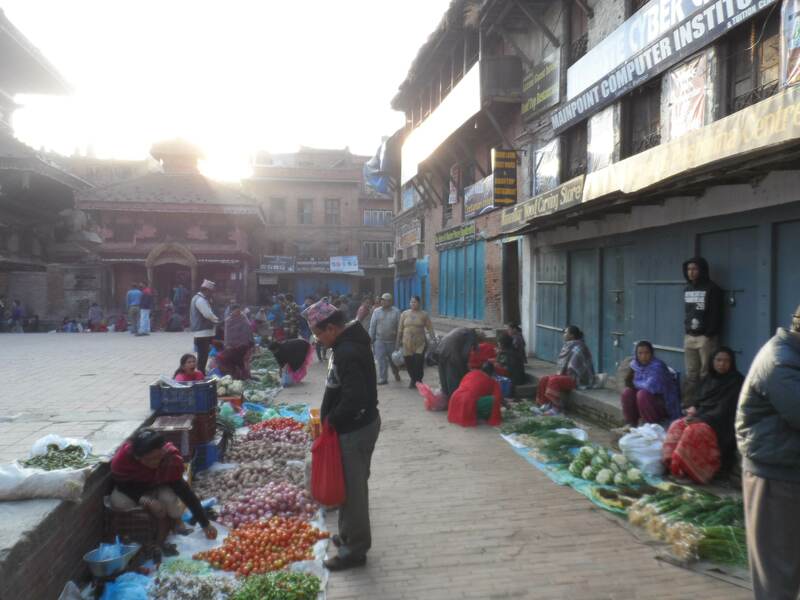 This temple square is a vegetable market every morning , and also a ground for senior citizens to do their morning exercise . 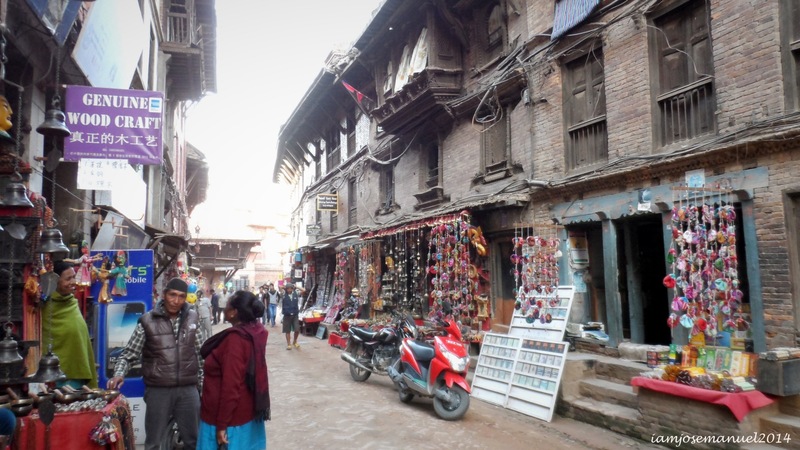 around 9:30 AM , the who square transforms into a busy souvenir market as the vegetable vendors pack up and commercial stores open for the arriving tourists. around 4 pm, the vegetable vendors once again set up their patches selling ready made food and farm produces ’til sundown. 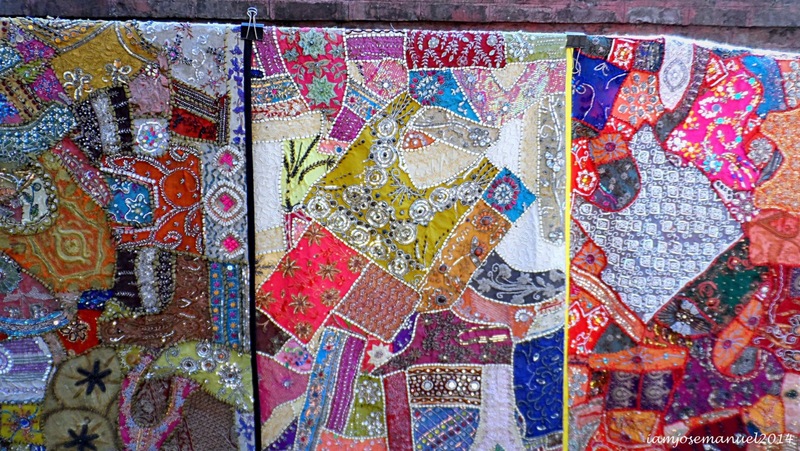 the dynamic transformation of this square happens everyday, which is very interesting. 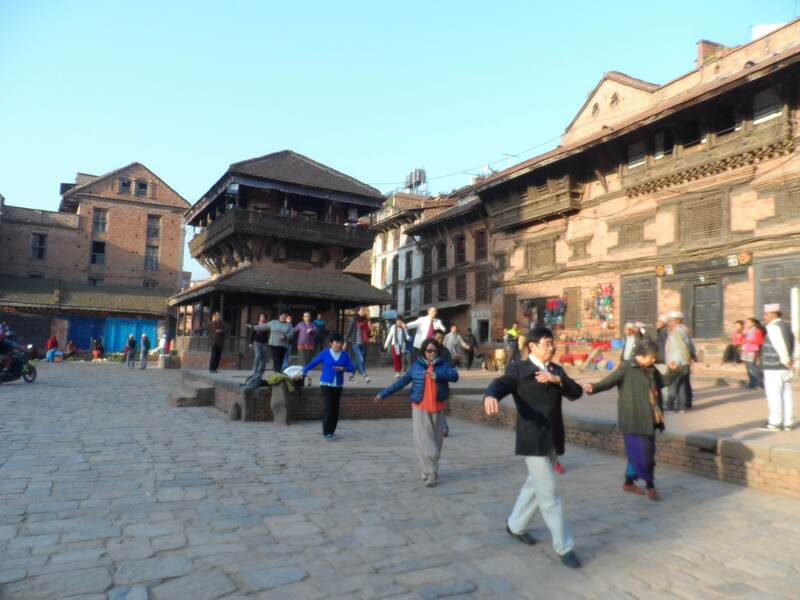 Nyatapola square at morning time around 6-7 am , packed with seniors doing morning exercises. 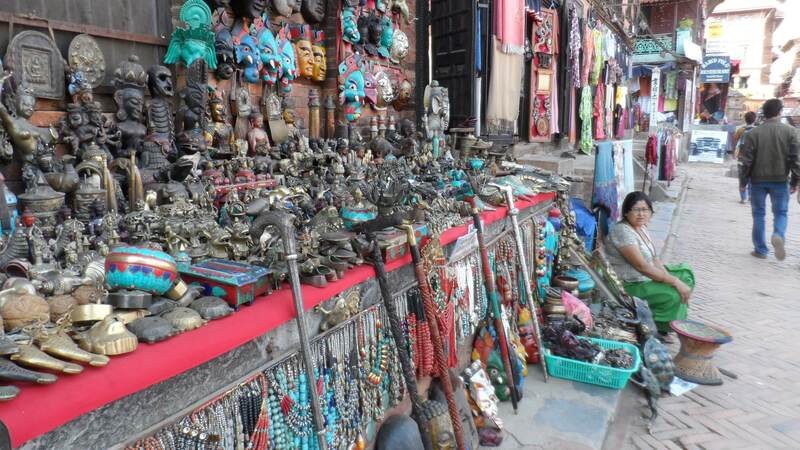 at around 9 am, the corners of Nyatapola Temple turn into lively chain of shops and souvenir items. This lady was happy I took a picture of her. 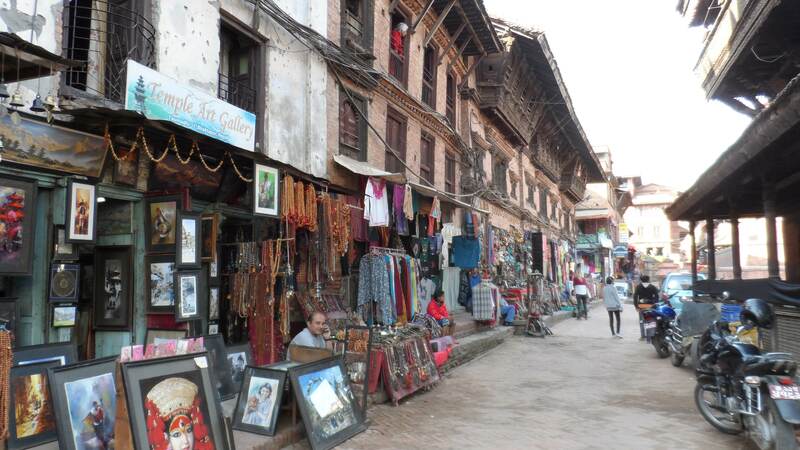 Nepalese people are generally nice and accommodating . 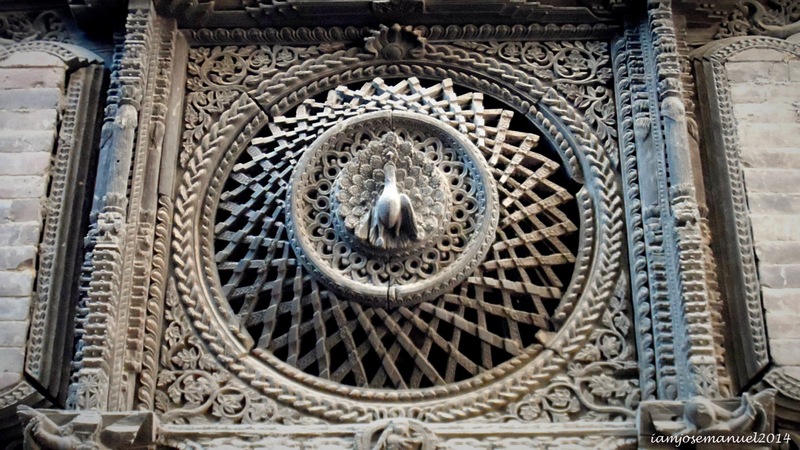 Intricate Details . 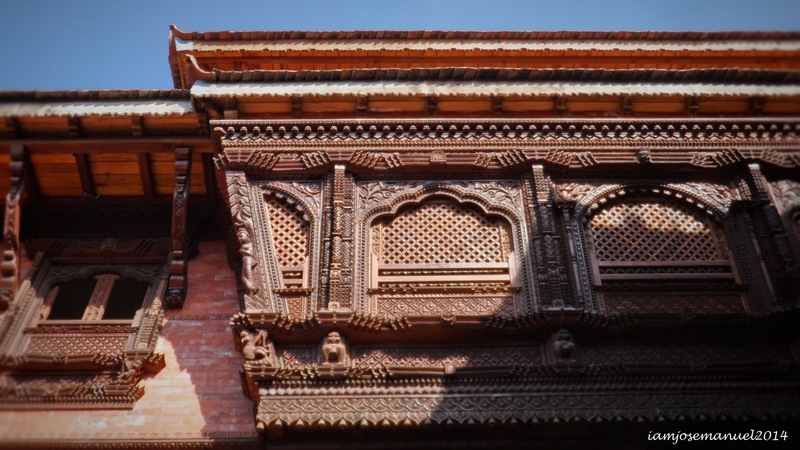 Nepal is known for its skilled wood carvers ,even way back the ancient times. 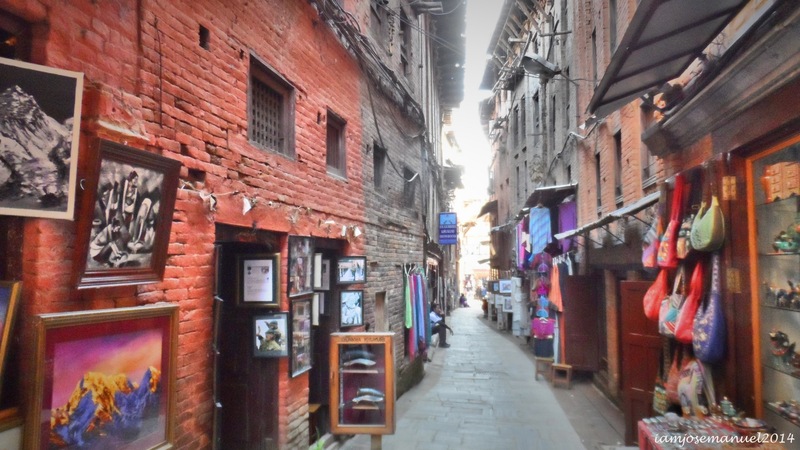 Old style Alley in Bhaktapur. 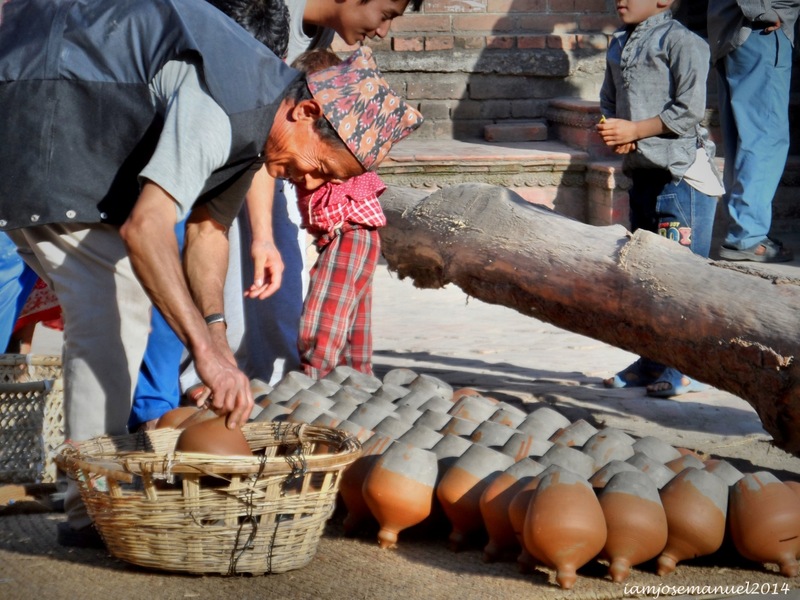 Nepalese Man , collecting his sun dried Clay Pots before sunset . Been doing this every day for years . 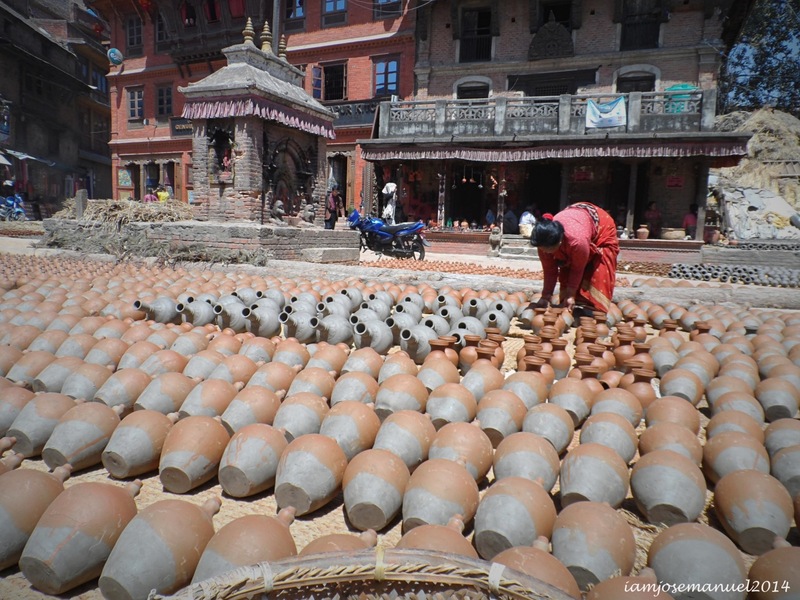 These claypots are used to keep yogurts, a staple food of Nepalese. Hello Josemanuel! 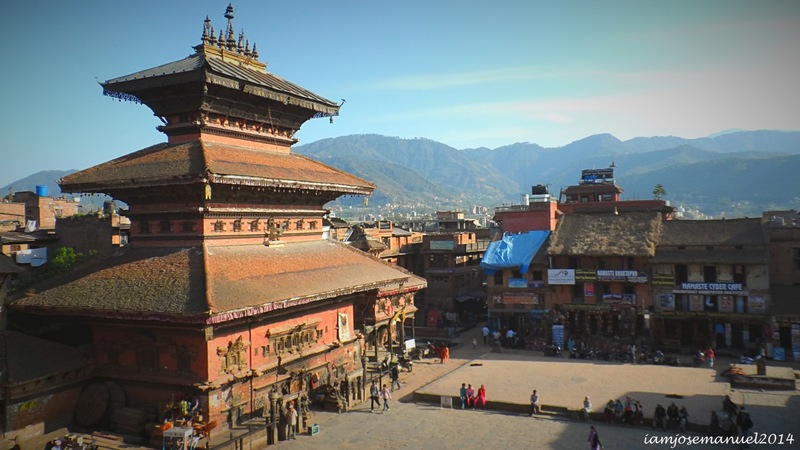 I would just like to know how many days would you recommend for Nepal? Did you try the basecamp? Thanks!